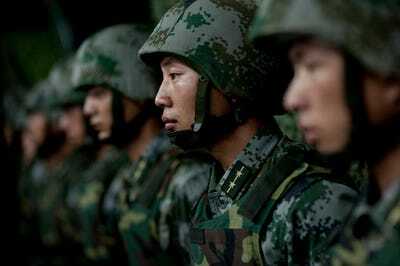 In addition to an active-duty military numbering more than 2 million China has a paramilitary force with almost 4 million members. By comparison, the US military has 1.4 million active-duty members. 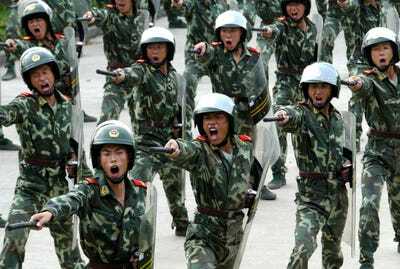 The paramilitary serves as an auxiliary force for the People’s Liberation Army. During times of peace, it’s primarily concerned with law enforcement and internal security. 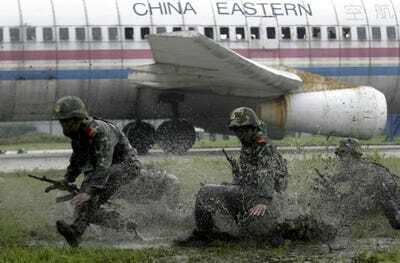 In times of war, they could triple the size of China’s available military force — a potentially crucial source of strength, considering Beijing’s ongoing tensions with its neighbours over its borders and various islands in the South China Sea. They have previously received criticism for oppressing journalists and using violent tactics to quash protests in Tibet. 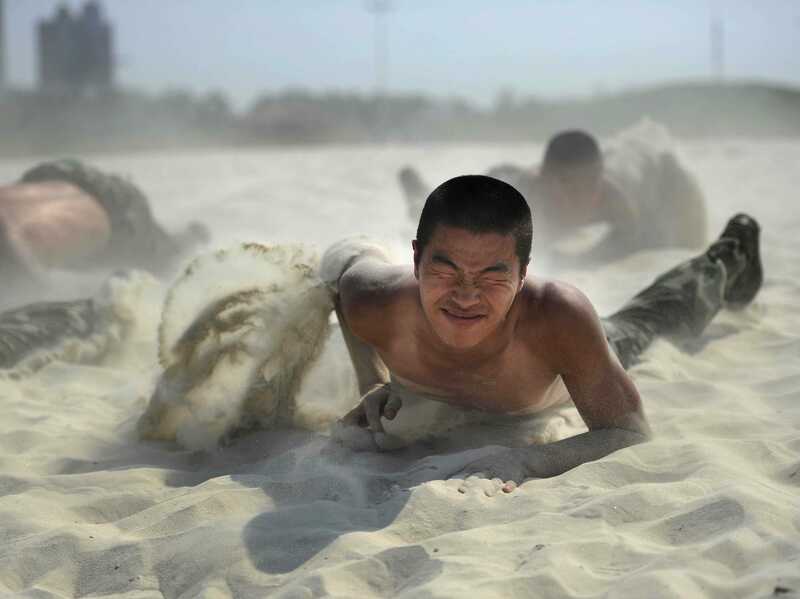 Reuters published a photo of a Chinese paramilitary member crawling through the sand in 102-degree temperatures. 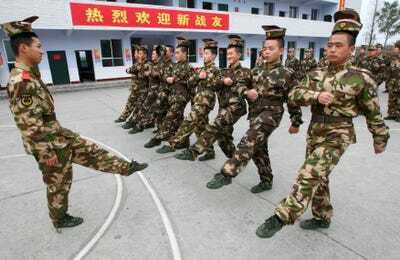 We decided to take a look at the paramilitary police training, and at what China’s massive auxiliary force goes through. This report is originally by Brian Jones. 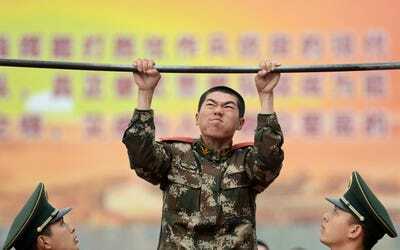 It describes the aim of the Chinese paramilitary police's rigorous training regimen. 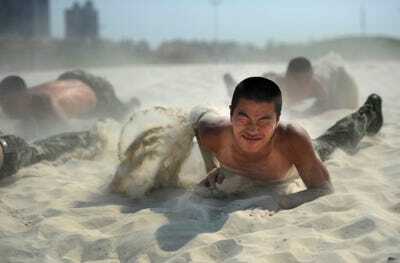 ... and crawl through sand in 102-degree heat. Women can train for the force, too. 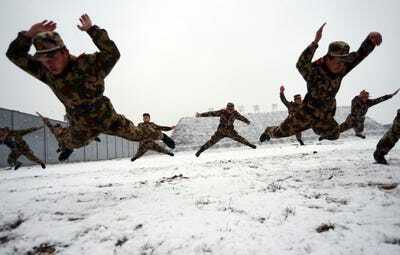 ... and train in the snow as well. 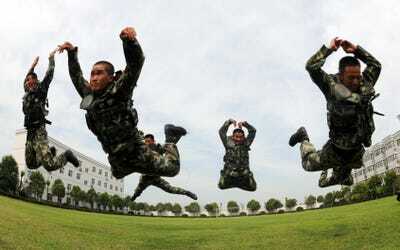 Balance is a key part of their training. ... and don't mind getting dirty. ... and hold their heads under water to practice holding their breath. 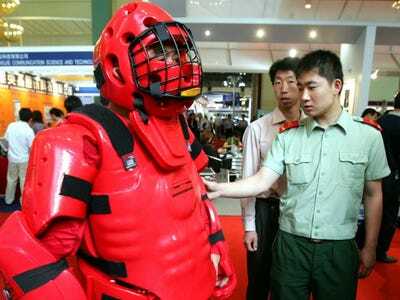 Some of them train while wearing large, Rock 'Em Sock 'Em Robot-like body armour. 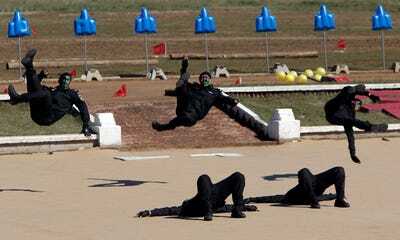 They train to fight armed hijackers. 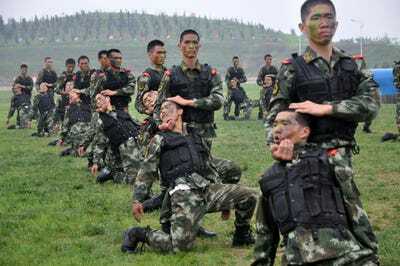 The training shows that China wants to be have millions of trained soldiers at its disposal if it ever had to fight one of its neighbours. 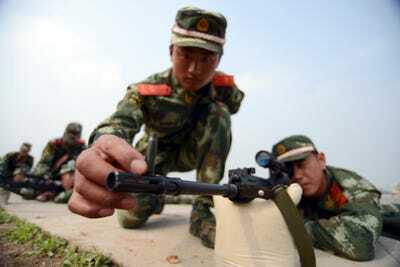 Now see how China stacks up in terms of global firepower.